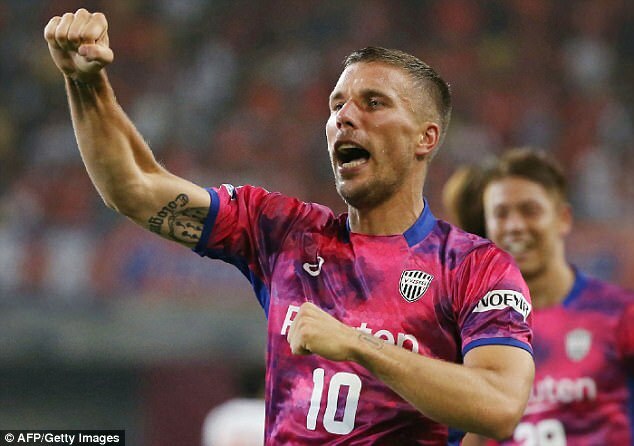 Former Arsenal and Germany forward Lukas Podolski showed that he has still not lost his scoring touch after managing to find the back of the net in his debut forVissel Kobe. The German is the latest high profile player to make the switch to the J-League, which is regarded as one of the strongest divisions in Asian football. Possessing one of the strongest left foots in the world, Podolski managed to score from 23 m in order to score his first goal forVissel Kobe. His second came up with an even better timing, as he helped with the hosts take the lead after the opposition had equalised. The game ended up finishing with a 3-1 score.